Nightly live music, 7:00 p.m. to 10:00 p.m. 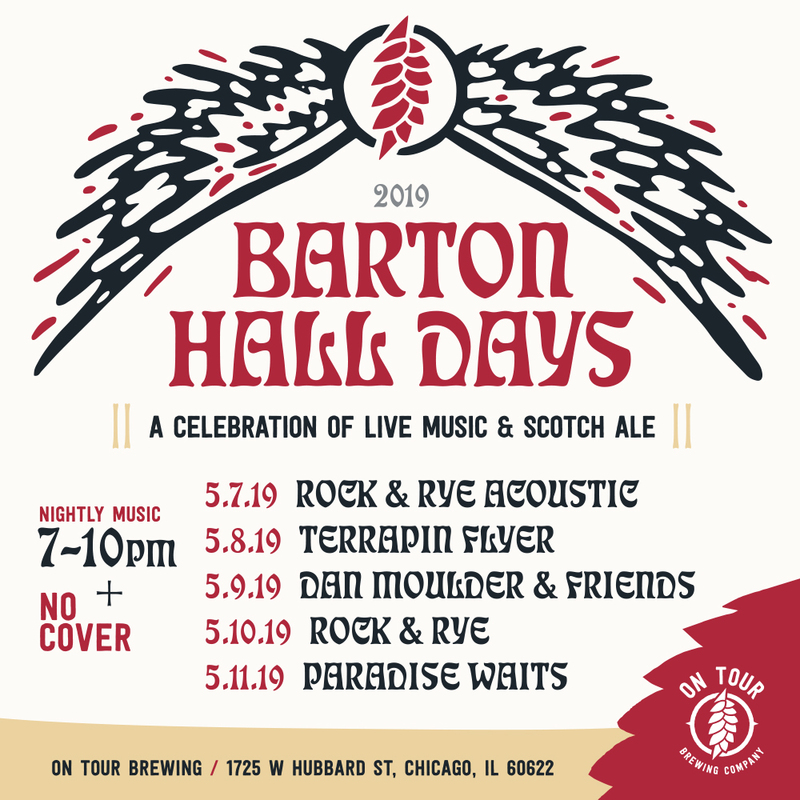 In honor of the Grateful Dead’s legendary performances in early May of 1977, On Tour is hosting a celebration of live music and scotch ale of our own. Enjoy live nightly music from Tuesday May 7 to Saturday, May 11 from 7pm to 10pm. Come celebrate with us EVERY night of Barton Hall Days to receive a free On Tour “I survived Barton Hall Days” t-shirt; grab a punch card from a staff member on Tuesday, May 7 to participate. See the full line up below! Terrapin Flyer and Dan Moulder & Friends will be covering the full Grateful Dead sets on the days of their performances.